We will ask you to complete a health questionnaire which will provide useful information whilst we wait for your medical records to arrive from your previous doctor. All new patients will be offered a health check with a member of the healthcare team to ensure that any required tests are up to date and that we have an accurate note of any repeat medication you may be taking. You should provide a sample of urine at this appointment. Go to the Registration Forms Link to print registration forms which can be completed and left into reception. Have you lost or misplaced your Medical Card? Registration Forms can be printed below and completed but have to be brought into the Practice as photographic ID and proof of address is required as part of the registration process. We do not accept on-line registrations at present. Registration Form - HSCR1 - If your last GP was not within the UK. Registration Form - HS200 - If your last GP was within the UK please use this form. Persons who have come to Northern Ireland from other EEA countries or overseas. This can be someone born here who moved away and has returned for a visit or to take up residence again, or someone who has never been in Northern Ireland before. This also includes patient who have not been registered anywhere in the UK in the past year. Each patient must complete the relevant section of the form i.e. as a visitor or as a resident of NI. Once the person has completed and signed the form, they must provide the practice with the relevant supporting documents. These documents should be originals and not photocopies. HS200 form above is for patients transferring GPs within Northern Ireland, please complete the HS200 form. Persons who are registered with a GP Practice in England, Scotland or Wales and are moving to Northern Ireland to reside or to stay here as a visitor. Documentation required when registering at the practice. Valid UK Driving Licence with photograph of applicant. Business Services Organisation (BSO) will verify this information and you may be asked to provide further information. Birth Certificate, and where applicable , Marriage or Civil partnership with photographic identification. Certificate of Naturalisation or proof of EEA status i.e. EEA National Identity Card. Valid Visa/BRP issued by home office and Valid passport. Current Driving licence(photo card and counterpart) showing your NI address. Current home insurance policy valid for property of residence in NI. Current NI rates bill valid for property of residence in NI. Signed, current tenancy agreement (not hand written) or mortgage statement for your property of residence in NI. Current bank statement for an active account which shows your NI address and activity in NI. Recently paid utility bill(gas, electricity or telephone – not mobile phone)for your property of residence in NI. Housing benefit award letter for your property of residence in NI. A letter or document from Department for Communities confirming receipt of a state benefit showing your NI address. A letter or document from Department for Communities confirming receipt of a social security benefit showing your NI address. Letter from HMRC with you Unique Tax Reference/Self-Assessment Return showing NI address. S1 Form (not issued in UK) or letter from DSP confirming receipt of State Pension (ROI only). HMRC Tax Credit Award showing your NI address. New Patient Questionnaire Please print, complete and hand in at reception when registering with the Practice. When you register at reception you will also be asked to fill out a medical questionnaire. This is because it can take a considerable time for us to receive your medical records. You can also print, complete and return this to us at reception. 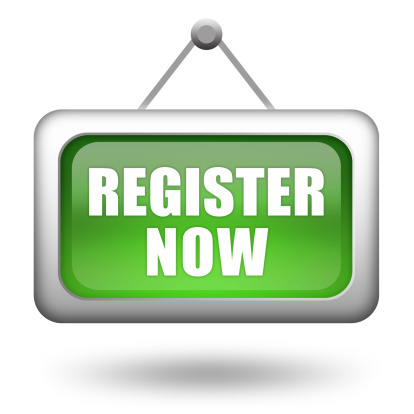 Registration Form - Please indicate that this is a temporary registration on the form. The Practice has recently gained approval from the Health and Social Care Board to reduce its Patient Registration Area (PRA) from a radius of 10 miles to a mapped area. The current practice boundary starts at Trooperslane but from Tuesday 1st November 2016 this boundary will move to Irish Gate leading to Albert Road going up to the North Road toward the B90 leading to the Marshallstown Road and then via Beltoy Road over to existing areas of Ballycarry, Magheramorne, Islandmagee, Whitehead and back out through Larne Road to the A2 turning right back onto Irish Gate and onto Albert Road again. Because of the boundary reduction some patients will be living outside the new PRA but will not be removed from the practice’s patient list. Any new family members of these patients will still be accepted and registered at the Practice. To reiterate, patients who fall between the old and new boundary will still be registered with the practice and will remain so unless they move house outside of the new boundary area. Only in this case will they be asked to re-register at a local Health Centre and be removed from the practice list. To register at another Health Centre please present at their reception with your current medical card and photographic identification. Business Services Organisation can be contacted for information on local medical practices available for patient registration. If you are allowed to remain on the Practice list you will be informed verbally and in writing and the situation will be kept under regular review.